At Vaxxe, we create a visual roadmap of your business to help determine areas for improvement that can be achieved through software augmentation. 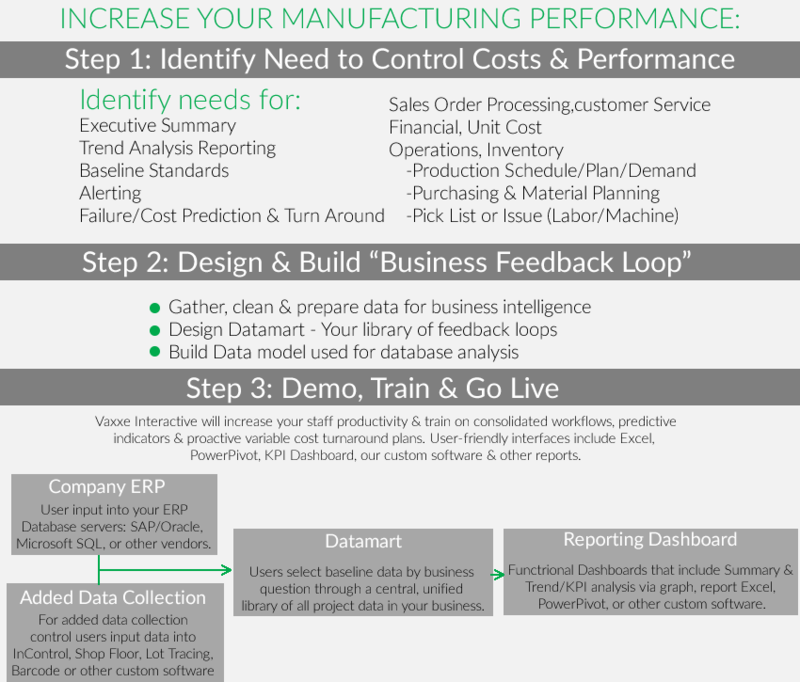 Your organization can take advantage of Vaxxe experts to streamline your manufacturing processes, thus setting the stage for growth. This approach drives a greater value and improves the bottom line for our customers by validating success criteria, establishing metrics, and continuously improving based on the results achieved.